I offer a variety of services that cover all your marketing and branding needs. With over 10 years of professional experience and having worked with a handful of successful clients, I bring a lot to the table. From logo design to web design, I can take your business to new heights and help you along your journey as you grow. Contact me today to get started! I look forward to meeting you! 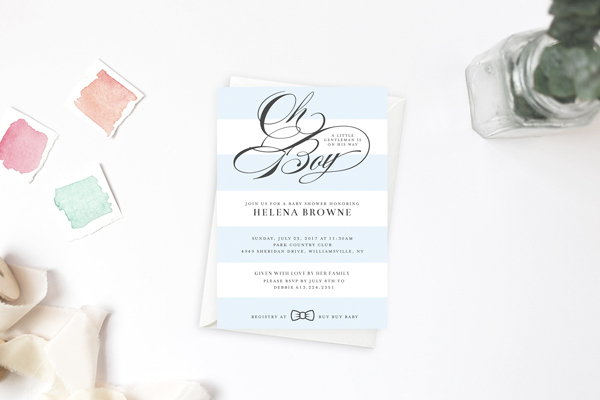 If you are looking for invitations for an event, whether it's a wedding or another type of celebration, you have come to the right place! I offer premade designs for purchase, as well as work with clients on custom items. In my shop you will also find original greeting cards and prints, both typographic and photographs. Click below to see what I offer and take a look around. Feel free to contact me with any questions. Unlike working with a big company, you only communicate with me and have my full attention. It's more of a personal experience. Becuase of this, I learn more about you and gain better insight into your brand and what works best. I have such a broad range of skills that I can potentially help you along the way as you grow your business. Most of my clients continue working with me because I know their brand and simply enjoy having me as their designer. After years of doing design work I have become pretty fast on getting projects done. I set realistic timelines and goals and usually have no issue sticking to them. More than half of the time I finalize projects early. This is one thing my clients rave about.